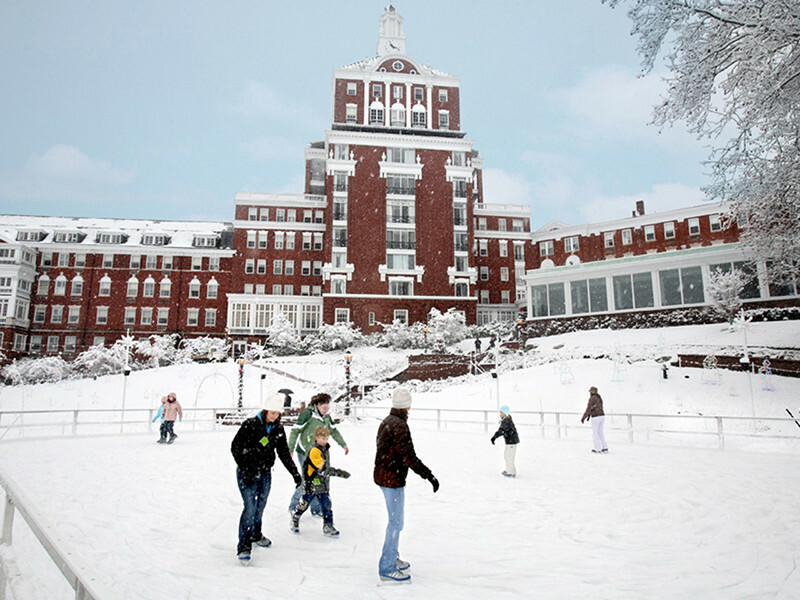 The Homestead, located in Virginia's Allegheny Mountains, is great for skiing and snowboarding. The ski area consists of more than 45 acres of well maintained trails perfect for all ability levels. This year the resort is proud to offer the only Rossignol Experience Center in the Southeast. The resort boasts nine downhill ski runs and an Olympic-size ice rink at the base of the slopes. Renowned in the area as the perfect family and learn-to-ski area. 10 restaurants, spa and saloon, ski shop, ski school, special ski and skate packages.